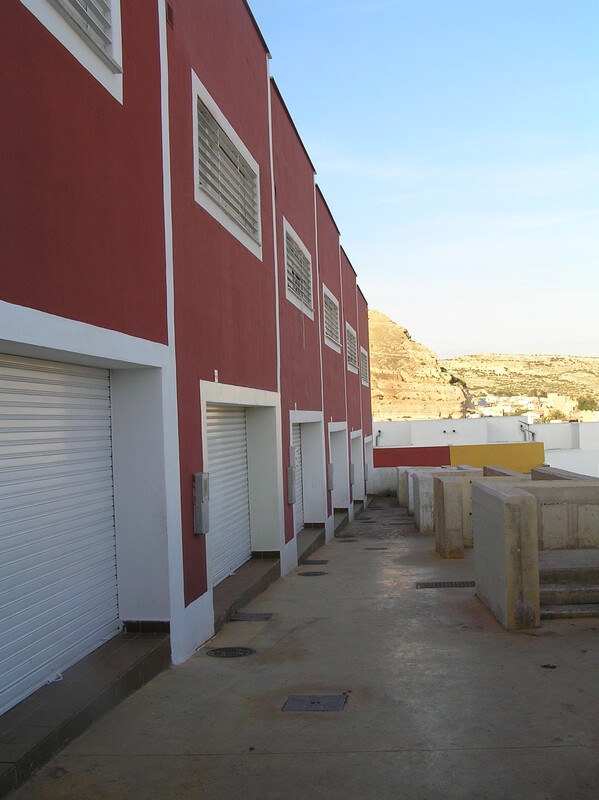 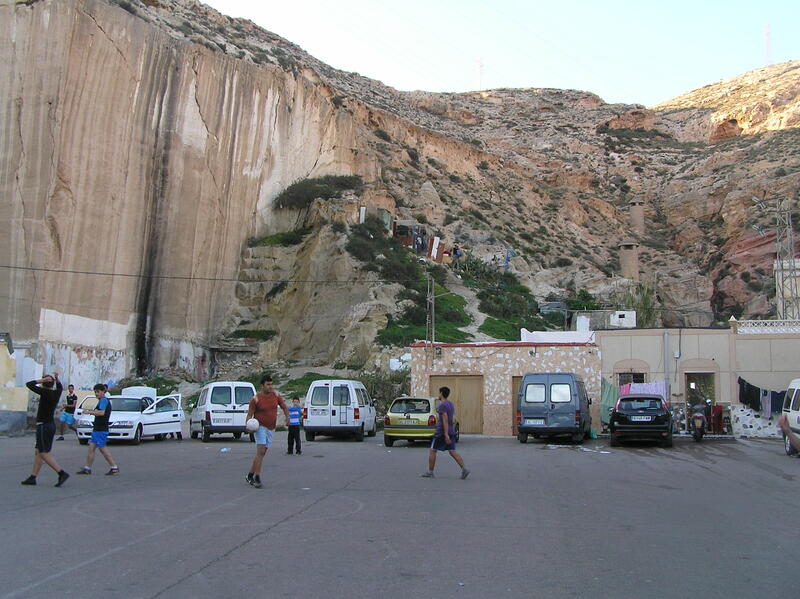 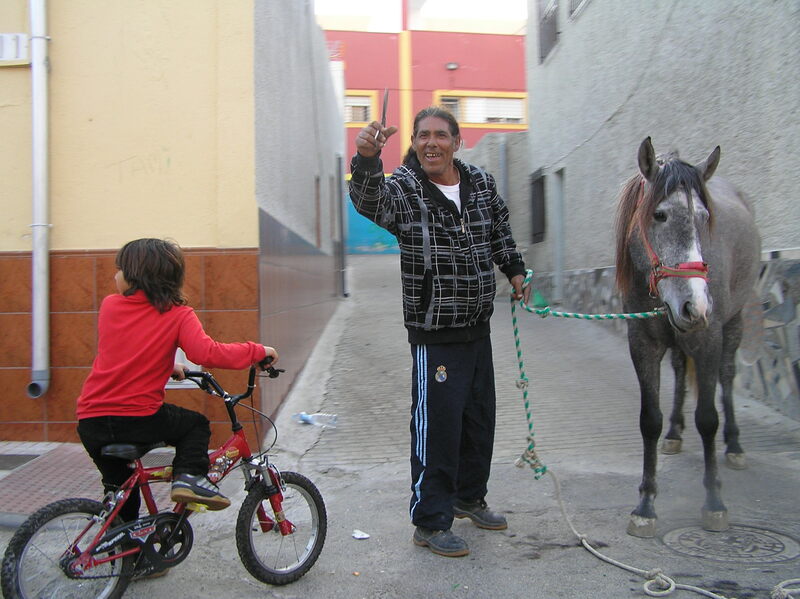 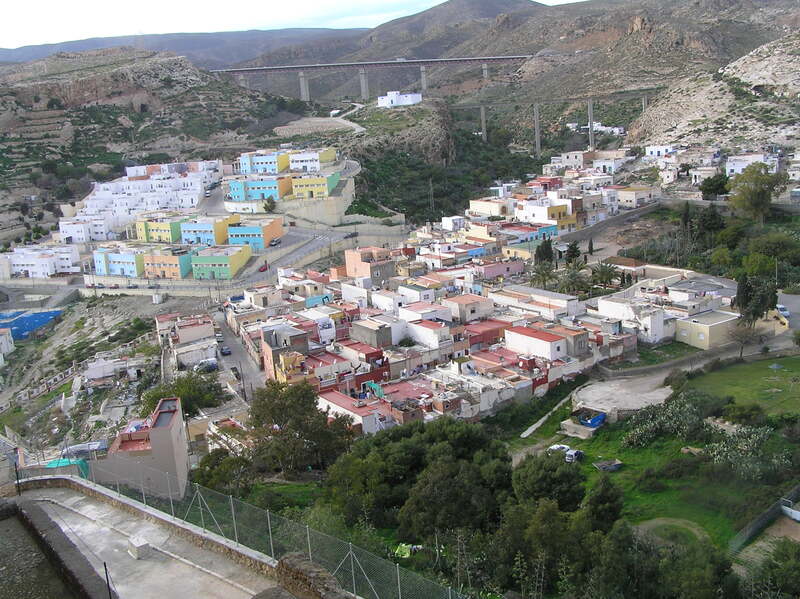 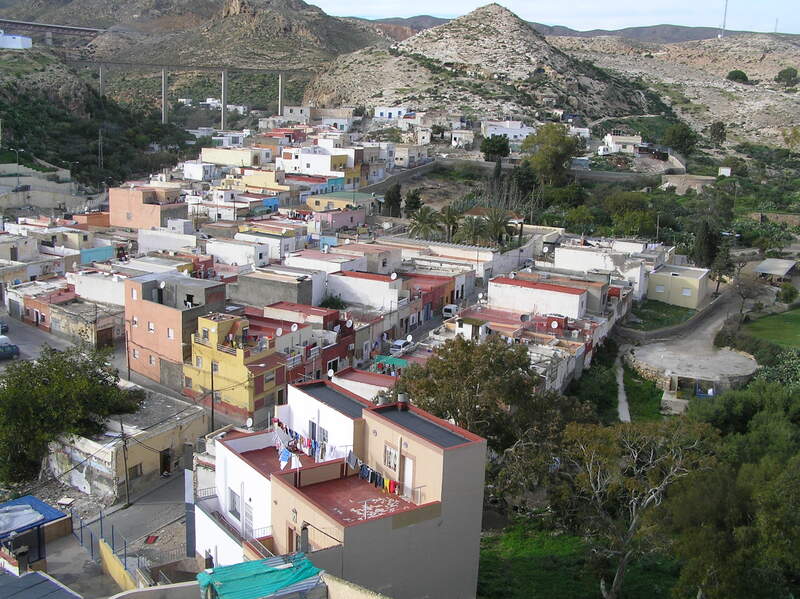 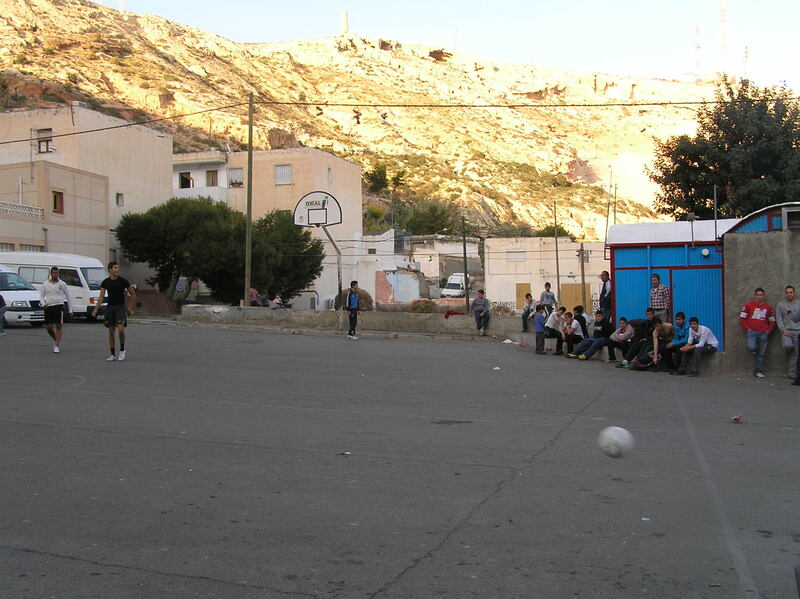 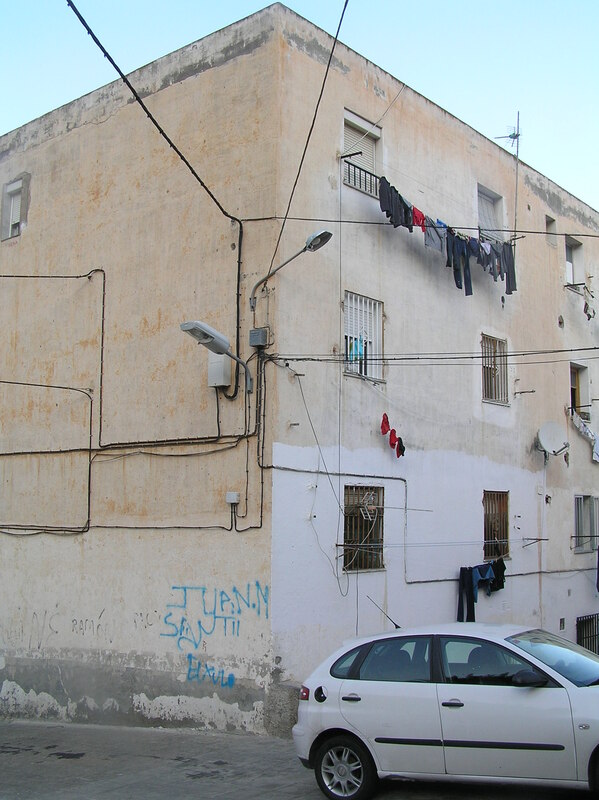 My experience of la Chanca in Almeria included visits to old and new buildings, public buildings and open spaces, spontaneous architecture and social housing projects. 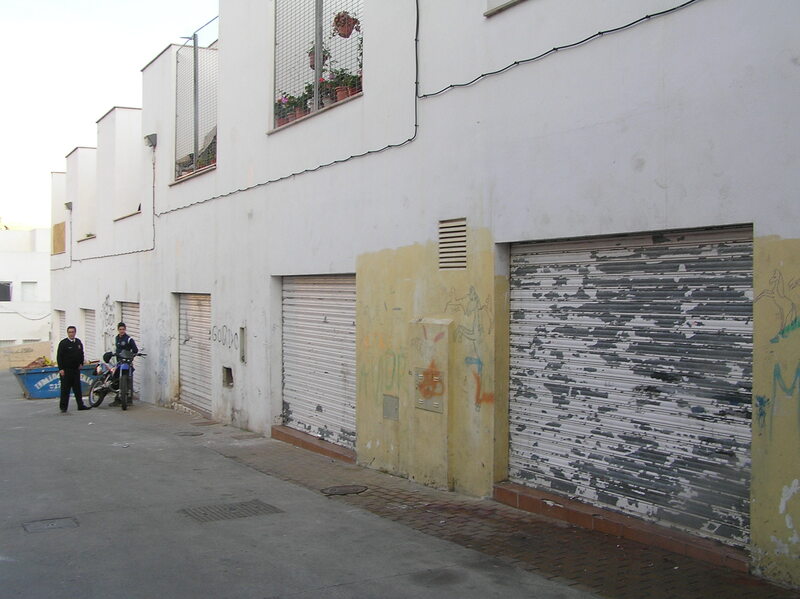 The following pictures may give an idea of the space and the atmosphere around the neighborhood, at least from my very subjective point of view. 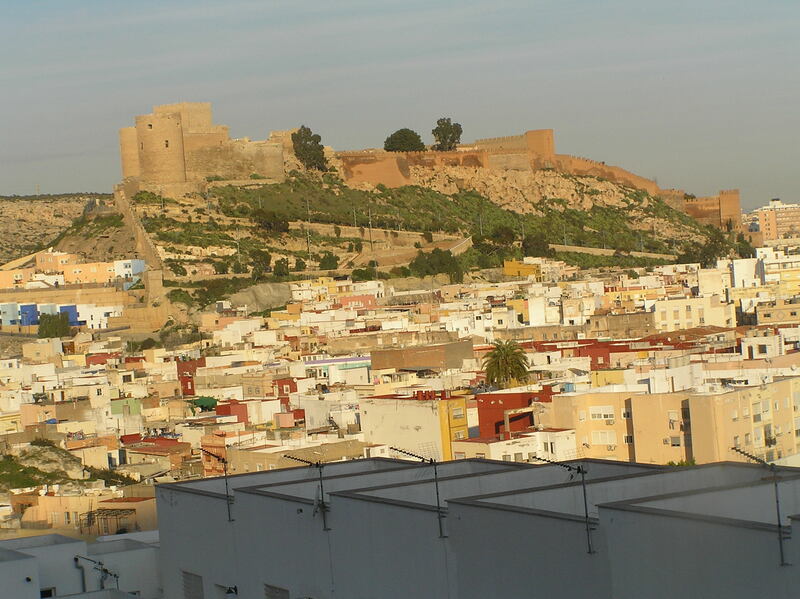 These are a couple of views over La Chanca from the Alcazaba, the moorish fortress that dominates the city. 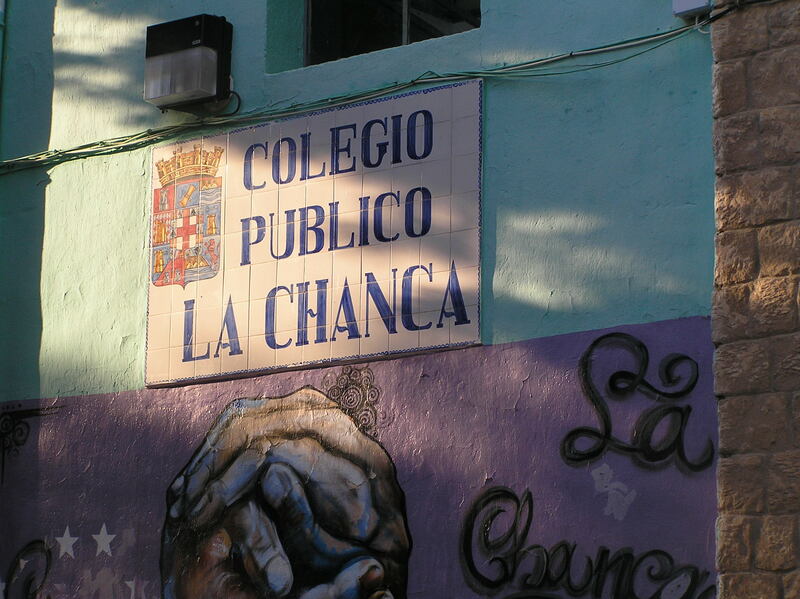 Signboard of the main public school of the neighborhood. 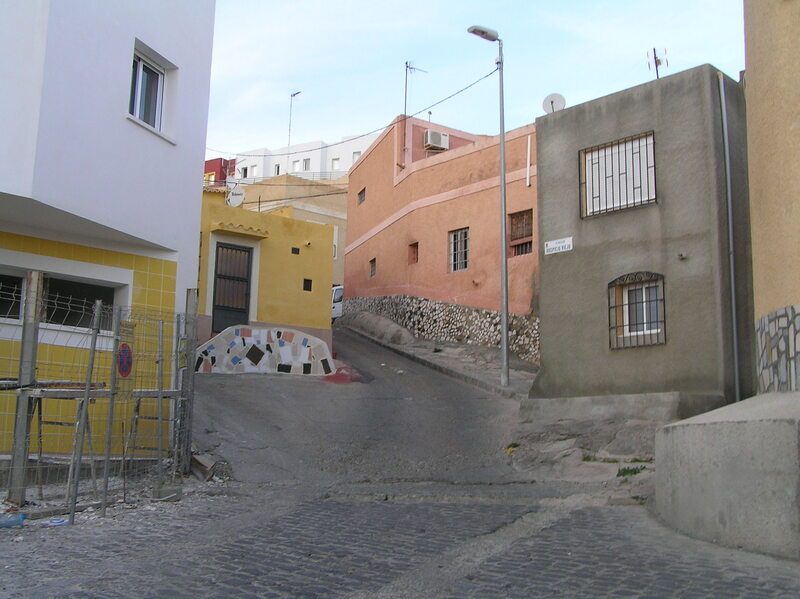 Some views of the narrow and steep streets of the neighborhood. 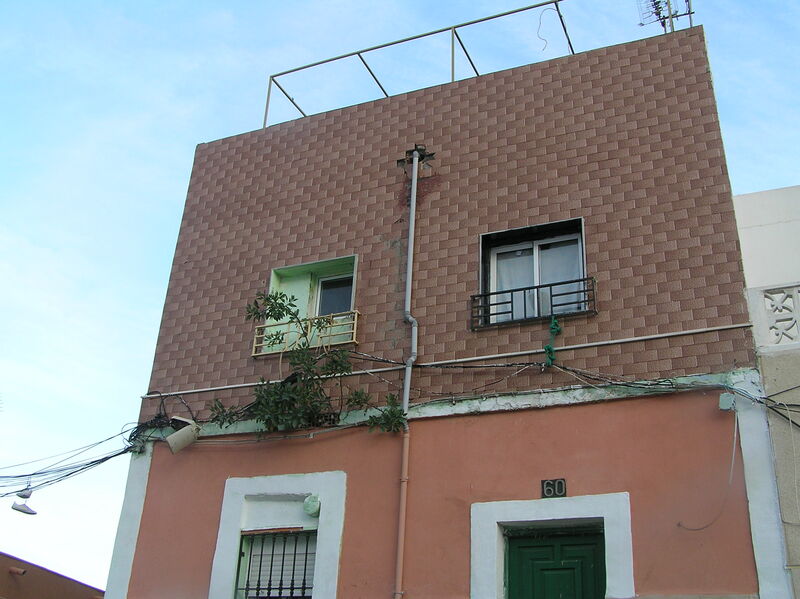 Some of them have dead ends like in the moorish urban fabrics. 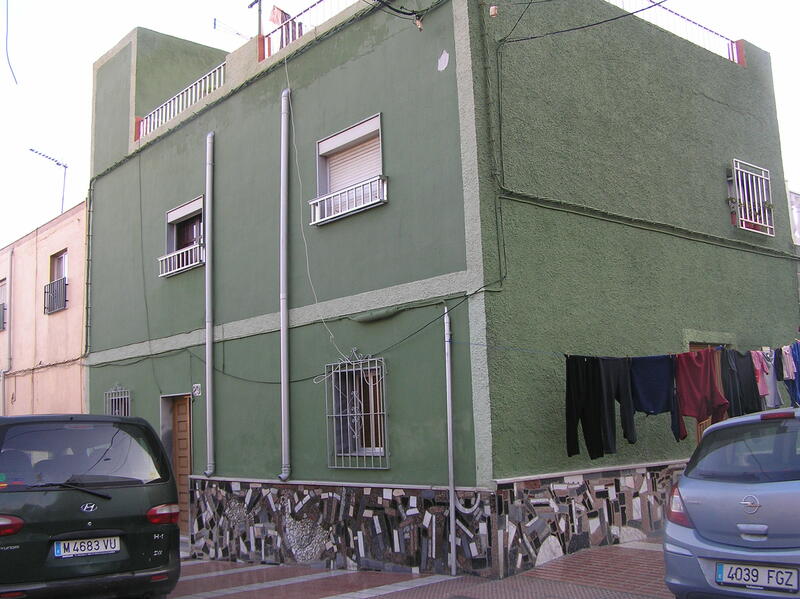 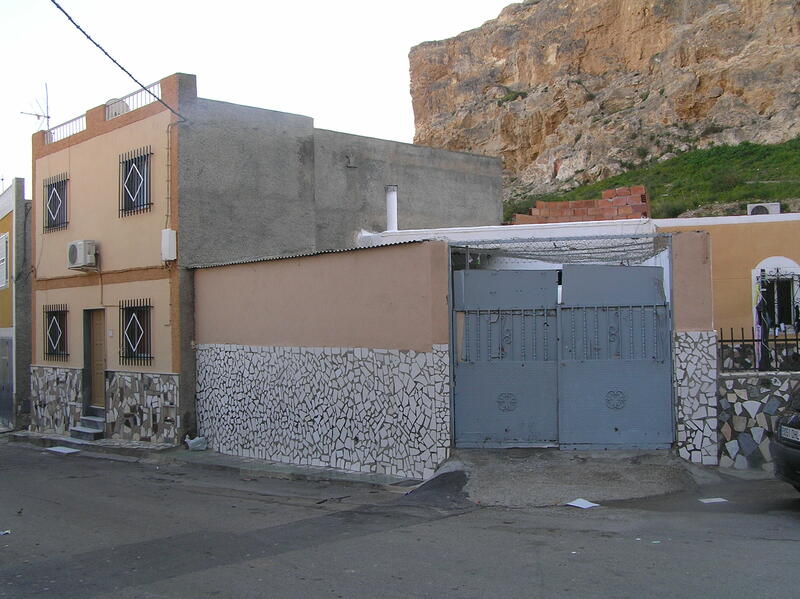 Most of the houses are low, with flat roofs, individual painting and the facade is decorated with colorful broken tiles. 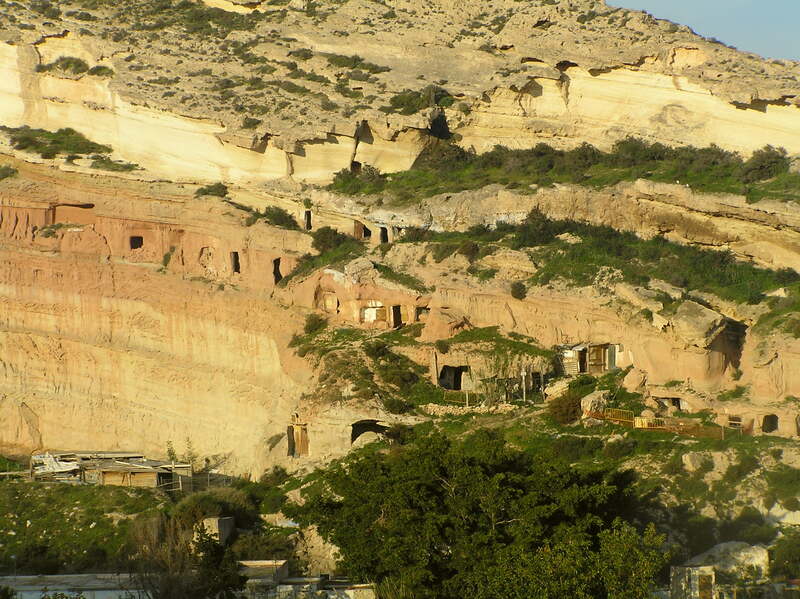 View from la Chanca to the abandoned cave dwellings and la Alcazaba.